Special medical equipment, close up. Big tomographic scanner is in a hospital room. 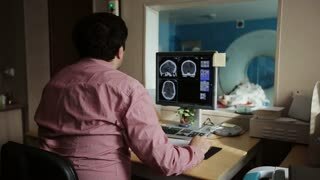 Modern tomography machine works in an empty room. CT scanner. Radiology equipment. Tomographic scanning platforms are getting ready. Nobody in an MRI apparatus. New medical equipment in a clinic, close up. 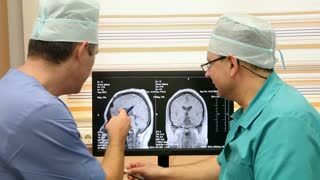 A patient is given radiation imaging treatment for a cancer diagnosis. Woman lying on the CT or MRI scanner during medical exam. 4K Close-up. 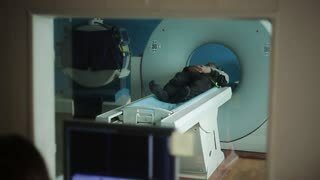 Man lays in Magnetic Resonance Image device, making tomographic scanning. The patient opens his eyes and gets up. CT and MR scan, scanner, medical examination, Tomograph.